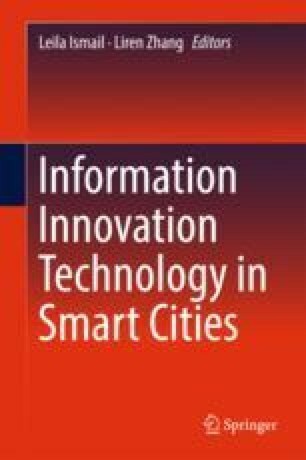 A knowledge-based environment of smart cities has the potential to increase knowledge spill-over effects within knowledge networks and can help promote innovation activities. Spill-overs occur within knowledge-based networks that also include knowledge entities such as universities and R&D centres. The type of innovation activities, internal R&D and external knowledge acquisition is also a key factor. In addition, there are many studies and reports that show evidence of the intensity of in-house R&D. This form of R&D increases the probability of innovation activity. Some papers deal with the importance of public financial support for innovation activities. They offer evidence that it is especially effective when supporting internationally collaborating firms. Many empirical studies argue and show evidence that both cooperation and knowledge spill-overs support innovation activities. A number of studies are concerned with the analysis of predicting innovation activity, because companies’ innovation activity is one of the fundamental determinants for their competitiveness. Most studies use a linear (logistic) regression model for their analysis. However, these studies do not take into account all the recursive terms concerning a company’s innovation activity. Therefore, in the report we demonstrate the use of ensembles of decision trees to model the intrinsic nonlinear characteristics of the innovation process. We apply this method for predicting innovation activity to chemical companies. We show that internal knowledge spill-overs were the most important determinant for the chemical firms’ innovation activity during the monitored period. Furthermore, R&D intensity, collaboration on innovation and firm size were also important determinants. This article was created as part of the resolution of the research task No. 14-02836S entitled “Modelling of knowledge spill-over effects in the context of regional and local development”, financially supported by the Grant Agency of the Czech Republic.